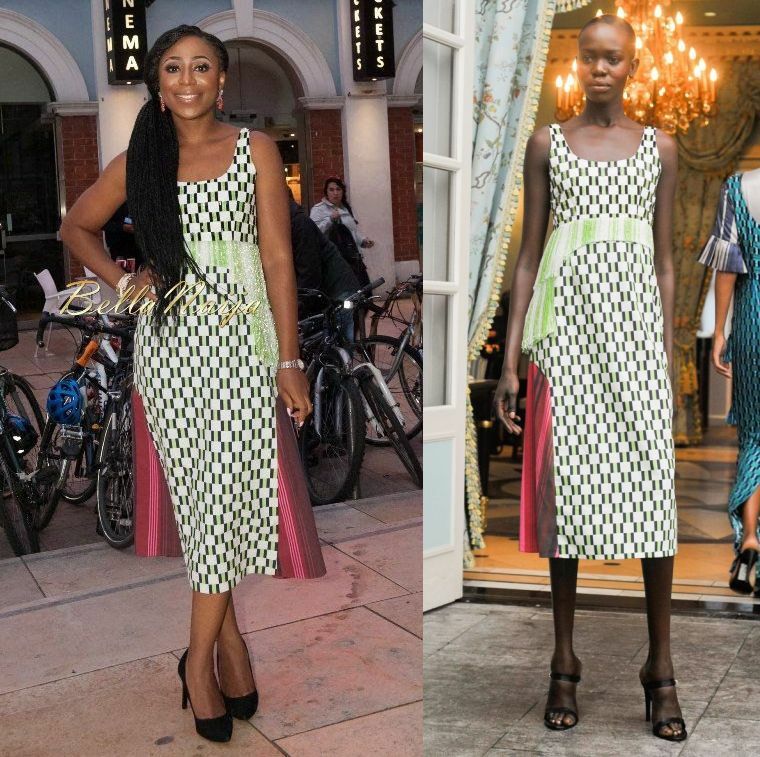 It;s time for another BN Collection to Closet and we are loving Dakore Akande in Lisa Folawiyo. This feature is our way of showing love to our African designers by shining a light on those who #BuyAfrican. 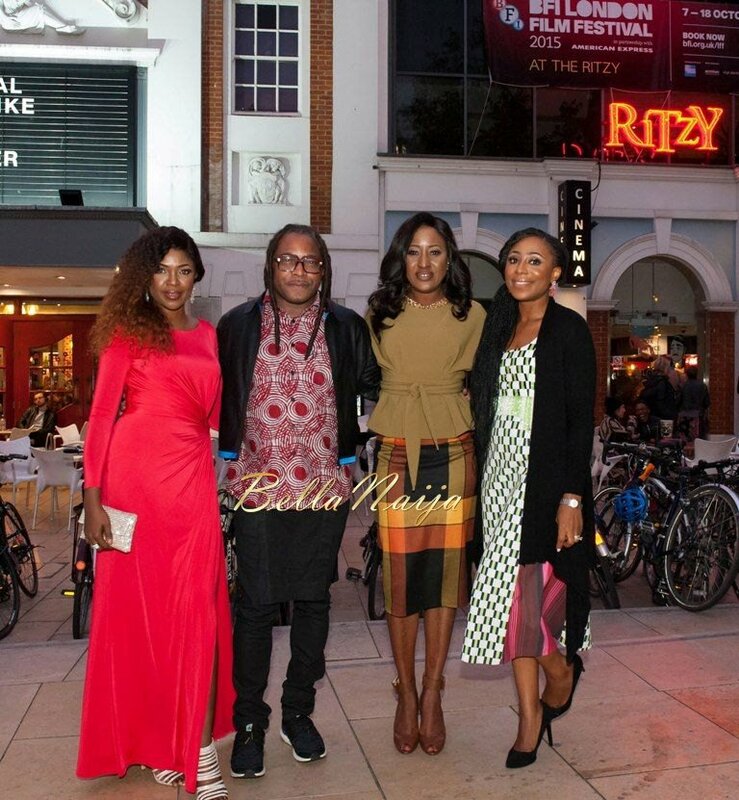 Let’s check out Dakore as she attended the ‘FIFTY‘ by EbonyLife Films premiere at the BFI London Film Festival last week. There lots of things we love about eponymous womenswear brand Lisa Folawiyo. One of the things we love is the fashion brand’s ability to leave us speechless with each new collection. Read more about the designer and the fabulous label HERE. 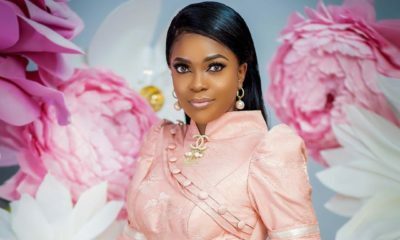 Lisa Folawiyo debuted her Spring/Summer 2015 collection in New York last year, and we have to admit it is one of our top faves for the season. With fringe detailing, asymmetrical hemlines, rich fabrics and gorgeous models, they gave other designers a run for their money. View the full collection if by some unfortunate turn of events you missed it. Last week, the beautiful Dakore Akande rocked a piece from the collection in London that reminded us of just how much we loved it. London’s evening breeze must have finally won the argument, because later Dakore covered her shoulders and arms with a black sweater. 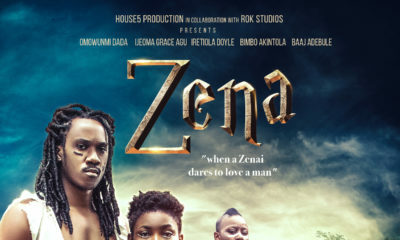 Here she is with her ‘FIFTY’ co-stars – Ireti Doyle, Omoni Oboli & director, Biyi Bandele. See more images from the even HERE. Lisa focuses on buying luxury gear from other noteworthy designers rather than work on her craft. To be honest I lovvvvvveee her style game when she’s wearing Celiné/ Balmain/ Balenciaga/ Rochas/ Charlotte Olympia/ etc etc etc. She’s just lucky to be the most overrated ‘fashion designer’. Even the youngins are more creative. Lisa Abeg wake up and start doing!! We miss you! this dress is ugly and too basic. I must be the only person who liked the dress and think Dakore did it justice. Lisa makes nice clothes, but I agree she could definitely step Up her design game by consulting with upcoming designers or something.